All humans must have access to clean water. If water is free in one part of the the world, it should also be free in other parts. Water is a human right allotment that must not be charged for. Scarcity of water should not affect peoples right to clean water. 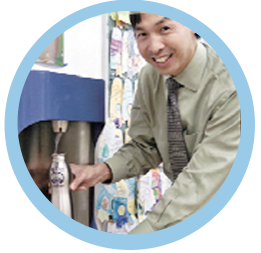 is developing a project to fund tap station installations in schools, and public locations. The fund will pay the costs associated with the taps, and installations so that they can be provided for free or at a reduced charge. The Tap Fund will be a public-private partnership loan fund created to increase access to safe, clean drinking water in communities; including schools, public locations, and homes; spur economic development that supports drinking water access; and inspire innovation in drinking water technology. The fund will provide financing for tap station installations, distribution, and maintenance.